“SHAMBLES” WAS A word used repeatedly by Fine Gaelers in Leinster House yesterday to describe the debacle that has become its attempt to fill the vacant Seanad seat. The appointment of John McNulty to a state board days before he was nominated to be the Fine Gael candidate for the Seanad by-election has all the hallmarks of a political controversy that’s of no interest to those outside the Leinster House bubble. But that’s not necessarily the case. Firstly, the move does little to bolster Fine Gael’s gender balance credentials – a seat vacated by a female is going to a male. Secondly, it again raises questions about how the government handles state board appointments. 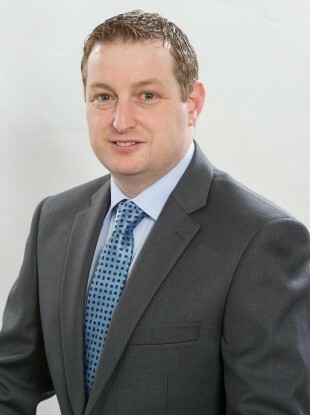 Last week, Fine Gael nominated McNulty, a Donegal-based shop manager and losing local election candidate, as its candidate for the Seanad by-election to fill the seat vacated by newly-elected MEP Deirdre Clune. Given the government’s majority in the Oireachtas, McNulty’s election to the upper house is a mere formality when the postal ballot of TDs and Senators closes on 10 October. But his nomination was a surprise given that much of the speculation about who would fill the vacant seat had centred on a female Fine Gael candidate from Dublin. The Fine Gael national executive is believed to have recommended that either Samantha Long or Stephanie Regan be the party’s choice. The pair both failed to get elected to council seats in Dublin in May’s local elections but were being touted as possible general election candidates and a Seanad seat would be a way of boosting their profile. But the higher echelons of the party instead decreed that McNulty should be the candidate. His selection caused a problem for many who believe Fine Gael is not doing enough for women in the party particularly after female TDs were ignored in the junior ministerial reshuffle. One female Fine Gael TD, who spoke on condition of anonymity, told TheJournal.ie she had “no high expectations for women in the party” after McNulty’s selection. “I think women have to work ten times harder to get to the same place as men [within the party],” she told us. Samantha Long, who missed out on a council seat in May, said she had no expectation of being the party’s pick for the Seanad but expressed disappointment that women had been ignored. ”I’m very disappointed it wasn’t a woman,” she said. McNulty’s selection also caused a problem when Today FM revealed on Monday night that he was appointed to the board of the Irish Museum of Modern Art (IMMA) days before nominations for the Seanad by-election closed. McNulty cited his new position on IMMA’s board as grounds to be elected to the Seanad’s Cultural and Education Panel. But the appointment has been viewed by opposition senators as nothing more than an effort to bolster McNulty’s cultural credentials in order for him to qualify for the Seanad seat. When it came to office three years ago the government pledged to open up state boards and allow ordinary citizens to apply for roles in a bid to deter ministers’ from appointing their own private candidates – something which Fianna Fáil became notorious for when it was in government. But in this case it appears McNulty didn’t even apply for the role he was given. Arts Minister Heather Humphreys insisted in the Seanad last night that she made the appointment on the basis of McNulty’s credentials, saying she had no role to play in the selection of Seanad by-election candidates. But Labour’s Ivana Bacik raised concerns about the manner and timing of McNulty’s appointment to IMMA coming just six days before his nomination for the Seanad by-election was confirmed. She said the move “doesn’t seem to be in keeping with the government reforms”. Opposition senators were more scathing, Fianna Fáil’s Thomas Byrne described it as an “electoral ploy” and criticised the government for its failure to meaningfully reform the upper house since it was saved from Fine Gael’s attempts to abolish it nearly a year ago. But whatever about Seanad reform, on gender balance and making appropriate appointments to state boards, Fine Gael, in this instance, has failed badly on both counts. As a result it has created significant and unnecessary controversy around an issue that few outside Leinster House were paying attention to a week ago. Email “Here's how Fine Gael landed itself in an unnecessary Seanad shambles ”. Feedback on “Here's how Fine Gael landed itself in an unnecessary Seanad shambles ”.